Shop online for 69 pactra hobby and model paint at discounts up to 47%. This is the 3oz (85g) can of Candy Red Lacquer Paint from Testors Pactra. This is the 3oz (85g) can of Outlaw Black Lacquer Paint from Testors Pactra. This is a 2/3 oz Bottle of Pactra Polycarbonate Candy Blue Colored Paint. This is a 1 oz glass jar of Acrylic Pactra Racing Finish, Pearl White Colored Paint. This is a 1 oz glass jar of Acrylic Pactra Racing Finish, Basic Red Colored Paint. This is a 1 oz glass jar of Acrylic Pactra Racing Finish, Basic Yellow Colored Paint. This is a 1 oz glass jar of Acrylic Pactra Racing Finish, Transparent Blue Colored Paint. This is a 1 oz glass jar of Acrylic Pactra Racing Finish, Transparent Amber Colored Paint. This is a 1 oz glass jar of Acrylic Pactra Racing Finish, Basic Black Colored Paint. This is the 3oz (85g) can of Fluorescent Green Lacquer Paint from Testors Pactra. This is a 2/3 oz Bottle of Pactra Polycarbonate Bright Yellow Colored Paint. This is a 2/3 oz Bottle of Pactra Polycarbonate Candy Purple Colored Paint. This is the 3oz (85g) can of Metallic Indy Silver Lacquer Paint from Testors Pactra. This is the 3oz (85g) can of Fluorescent Yellow Lacquer Paint from Testors Pactra. This is a 1 oz glass jar of Acrylic Pactra Racing Finish, Fluorescent Orange Colored Paint. This is the 3oz (85g) can of Sprint White Lacquer Paint from Testors Pactra. 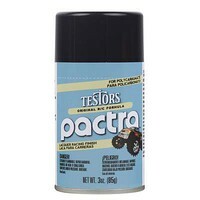 This is the 3oz (85g) can of Racing Red Lacquer Paint from Testors Pactra. This is the 3oz (85g) can of Metallic Lime Ice Lacquer Paint from Testors Pactra. This is a 3.5 oz Bottle of Pactra Lacquer Thinner. This is a 1 oz glass jar of Acrylic Pactra Racing Finish, Transparent Green Colored Paint.